Explain your experience in Early Childhood Education: I have been working at First Steps for almost two years. I enjoy growing and learning from the other teachers and students. It is a lot of fun watching the children grow and build their knowledge. Explain your experience in Early Childhood Education: I have been working with children of ages 6 weeks to 18 years old for almost 50 years now. 25 years in an ECE program and 15 years with infants. Working with children has been my passion from a very early age. Explain your experience in Early Childhood Education: I started working here about a week ago. I love it here. Everybody is very friendly. I love the people I work with. I enjoy the experience with the kids. Explain your experience in Early Childhood Education: I have been working for First Steps since 2008 and have enjoyed every year since. The children and staff have taught me so much and I look forward to many more years of learning, fun and love. Explain your experience in Early Childhood Education: I have been working in this field since 1998. I have been Director Qualified since 2005. I have enjoyed every moment working with young children. Experience in Early Childhood Education: I worked for YMCA and was a lead teacher of the school age program for 6 years. I was also the program assistant for Childserv before and after school for 6 years. I worked with wards of the state in residential care for 5 years. Explain your experience in Early Childhood Education: I first started working at First Steps as an assistant teacher 14 years ago. I have been furthering my education at CLC. I am working towards my associate’s degree. Explain your experience in Early Childhood Education: I am a licensed para professional and am continuing my education at CLC. I have always loved teaching and collecting children’s literature. Explain your experience in Early Childhood Education: I have been working with children of all ages for 15 years and have been working with infants for 9 years. I have my associate’s degree in Early Childhood education. 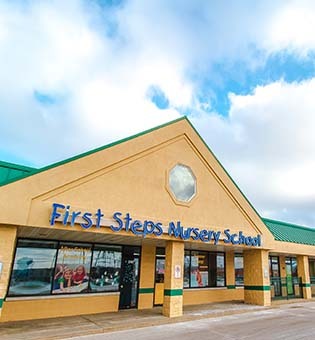 Explain your experience in Early Childhood Education: I have a lot of experience with children from babysitting and working for over a year here at First Steps. I love working with children and am currently pursuing my Bachelor’s degree in elementary education at northern Illinois University. Explain your experience in Early Childhood Education: I have a bachelor’s degree in Business management along with Early Childhood Education, EC1+ EC2, and 12 years of experience in a prior HeadStart program. Children are my passion. Explain your experience in Early Childhood Education: I’ve been working at First Steps for a few months now and I love it. Everyone welcomes me with open arms and I love what I do. Explain your experience in Early Childhood Education: I have been working with children between the ages of 6 weeks to 7 years old and it’s an amazing passion I have. I have my associate’s degree in Applied Science for early childhood education and two credentials. I am working towards my bachelor’s degree.